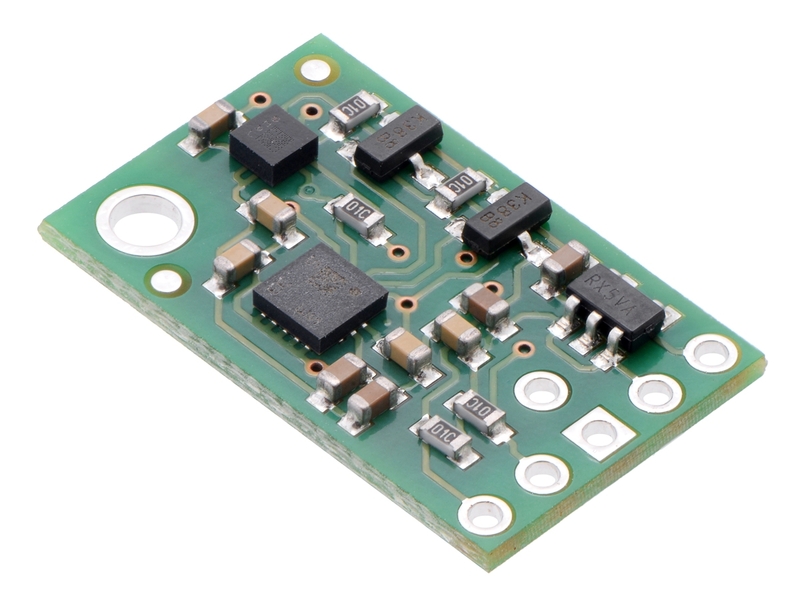 The Pololu MinIMU-9 v5 is a compact (0.8″ × 0.5″) board that combines ST’s LSM6DS33 3-axis gyroscope and 3-axis accelerometer and LIS3MDL 3-axis magnetometer to form an inertial measurement unit (IMU); we therefore recommend careful reading of the LSM6DS33 datasheet (1MB pdf) and LIS3MDL datasheet (2MB pdf) before using this product. These sensors are great ICs, but their small packages make them difficult for the typical student or hobbyist to use. They also operate at voltages below 3.6 V, which can make interfacing difficult for microcontrollers operating at 5 V. The MinIMU-9 v5 addresses these issues by incorporating additional electronics, including a voltage regulator and a level-shifting circuit, while keeping the overall size as compact as possible. The board ships fully populated with its SMD components, including the LSM6DS33 and LIS3MDL, as shown in the product picture. The nine independent rotation, acceleration, and magnetic readings (sometimes called 9DOF) provide all the data needed to make an attitude and heading reference system (AHRS). With an appropriate algorithm, a microcontroller or computer can use the data to calculate the orientation of the MinIMU board. The gyro can be used to very accurately track rotation on a short timescale, while the accelerometer and compass can help compensate for gyro drift over time by providing an absolute frame of reference. The respective axes of the two chips are aligned on the board to facilitate these sensor fusion calculations. 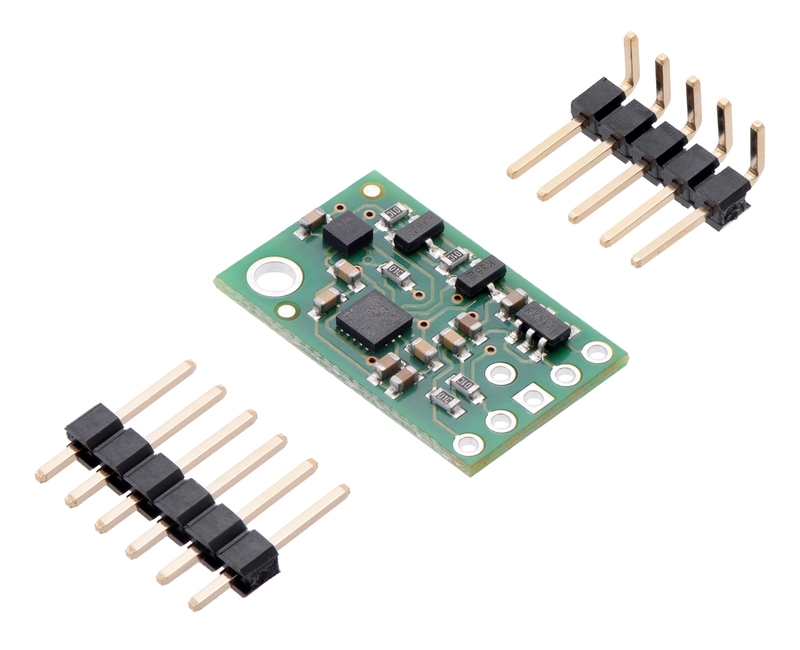 The carrier board includes a low-dropout linear voltage regulator that provides the 3.3 V required by the LSM6DS33 and LIS3MDL, allowing the module to be powered from a single 2.5 V to 5.5 V supply. The regulator output is available on the VDD pin and can supply almost 150 mA to external devices. The breakout board also includes a circuit that shifts the I²C clock and data lines to the same logic voltage level as the supplied VIN, making it simple to interface the board with 5 V systems. The board’s 0.1″ pin spacing makes it easy to use with standard solderless breadboards and 0.1″ perfboards.